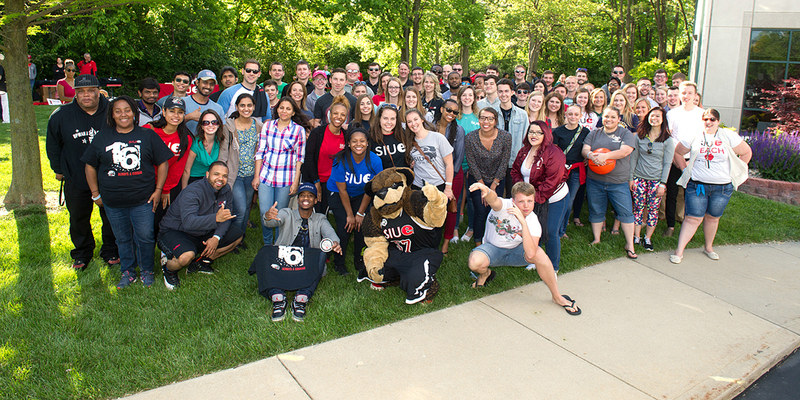 Verbal Blakey credits the faculty and staff of the SIUE School of Engineering with preparing her for a successful career. Blakey graduated in 1993 with a bachelor of science in electrical engineering. She earned a master of engineering management from the University of Missouri-Rolla in 1997. Blakey joined the firm of BHMG Engineers in St. Louis as a staff engineer after graduating from SIUE. She became a Registered Professional Engineer in 1998 and a principal and vice president of BHMG Engineers in 1999. At BHMG, Blakey is responsible for the preparation of cost of service studies and rate studies for electric and natural gas utilities. She is involved in the design of many of the firm’s projects for electrical facilities, including generating plants, substations, distribution lines, supervisory control and data acquisition systems, and electronic controls. Blakey has primary responsibility for the firm’s work in EPA regulatory compliance.